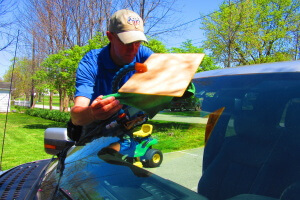 Best Windshield Chip Repair in Indianapolis- We come to you! 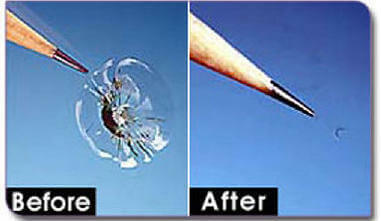 Crack and chip windshield repair entails fixing that tiny chip or crack before it destroys your windshield. A small chip, crack or ding in your windshield not only compromises your safety, but can spread across the glass. If this happens you’ll need a brand new windshield…And new windshields are not cheap! If you have it repaired before it’s too late, you’ll save a lot of headache and money. Windshield repair is inexpensive and quick-and in most cases your auto insurance will cover it 100%. And if you opt to pay it yourself the price is very reasonable. Windshield repair cost is very reasonable.Windshield Repair Doc charges $70 for a standard windshield repair while our competitors charge between $75-125. What is Crack and Chip Windshield Repair? 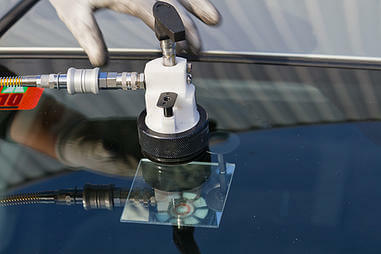 Windshield repair is a permanent process that removes air from the crack or chip and fills it with a curable resin. The process bonds the glass together and restores strength and structural integrity of the windshield. Is Windshield Repair right for me? Windshield repair in Indianapolis is FREE with insurance approval AND your insurance rates will not increase! See ‘Windshield Repair Cost’. But, if you prefer not to use insurance see our prices below. All chip repairs include our Lifetime Warranty! So….Why call Windshield Repair Doc? We’re mobile, so we can come to your location whether you’re at work or at home. It’s quick…most windshield repair can be done in 20 minutes or less. You’ll save your windshield from having to be completely replaced!